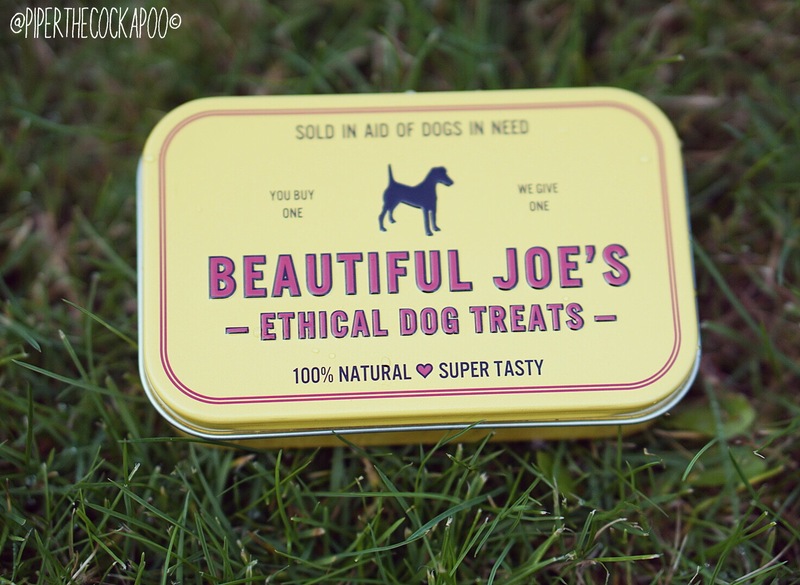 Hounds Dog Shop sent us some Beautiful Joe’s ethical dog treats to try. 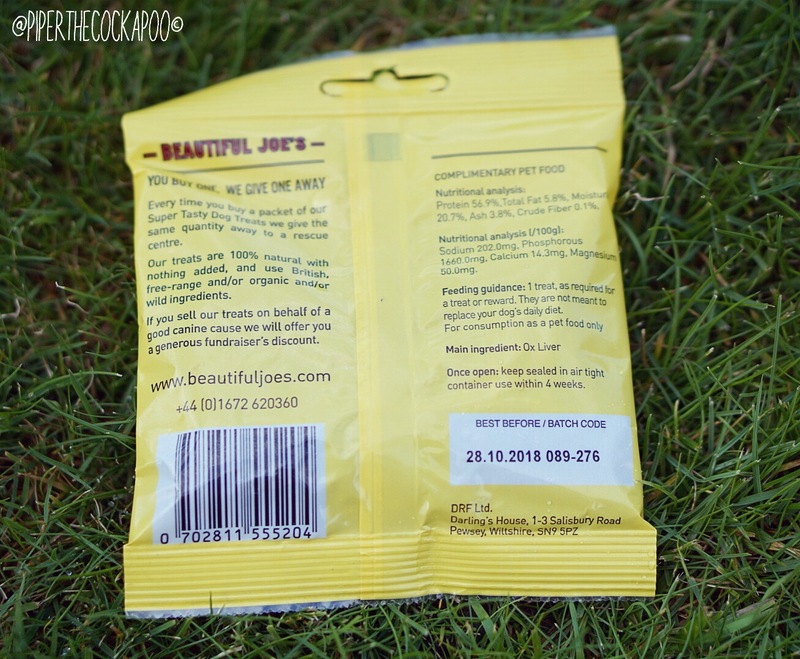 I adore a product like this so felt that I just had to share it with you all! The treats are super healthy made just from Ox Liver, so you know that you’re not giving your 4 legged friend any nasties. 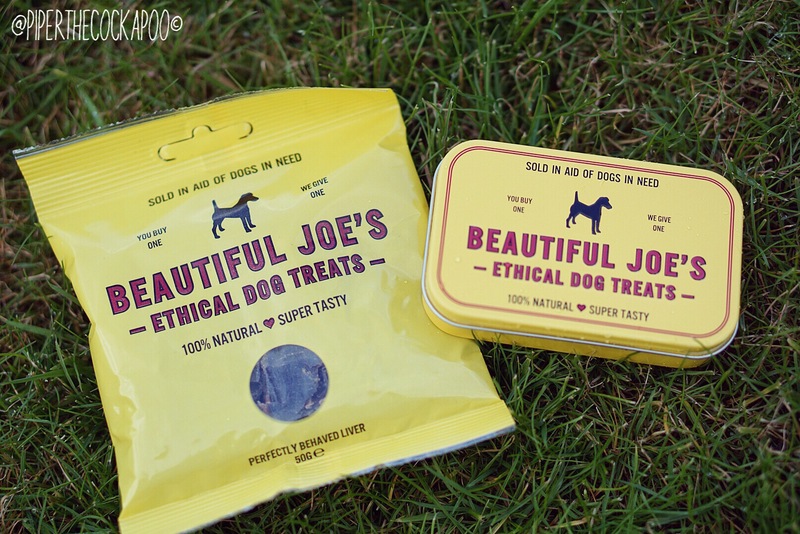 The reason why I am sharing this with you though, is because Beautiful Joe’s donate a packet of treats to a dog in need, every time a packet is bought. 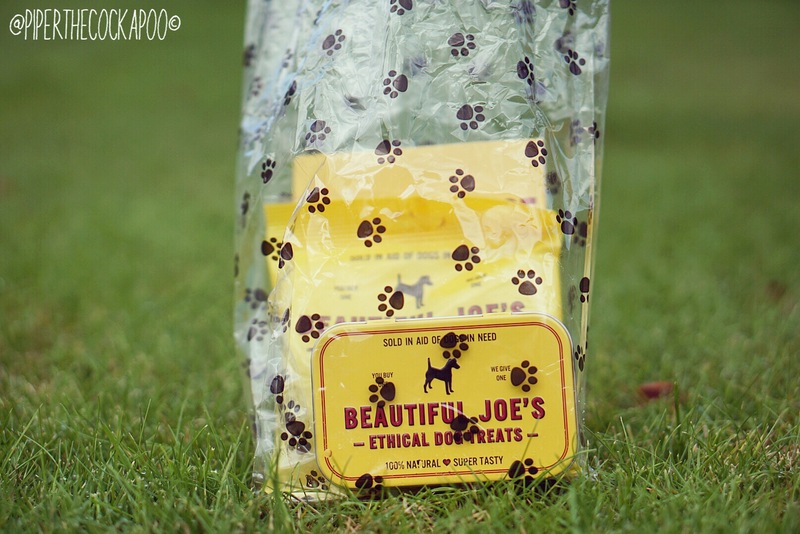 Hence the name, ethical dog treats. 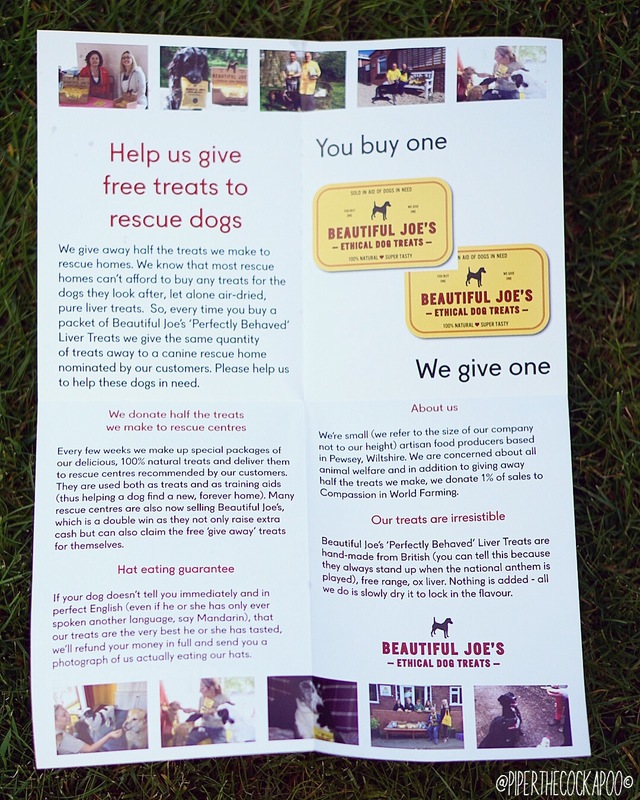 I think this is a wonderful idea, supporting dogs in need whilst at the same time your own dog gets a tasty snack. 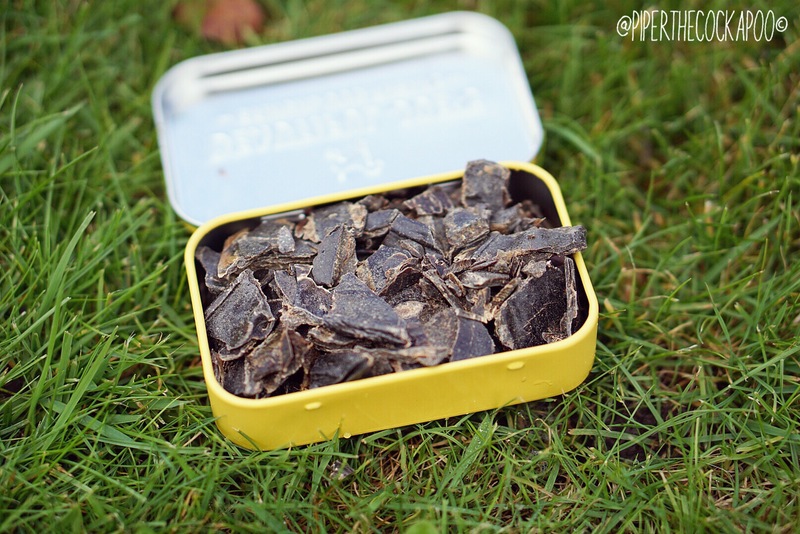 The treats also came with this handy little carry tin, which is ideal for using when out & about. It fits perfectly into your pocket! 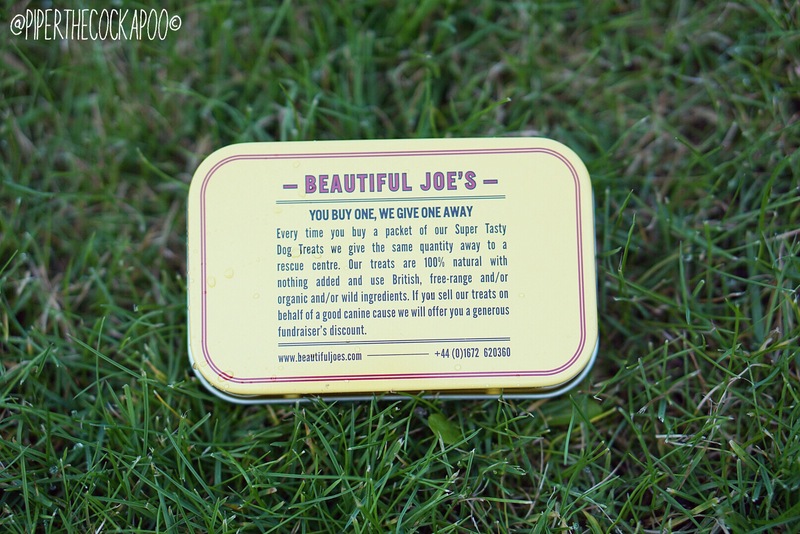 You can find Beautiful Joe’s on Instagram & Facebook. 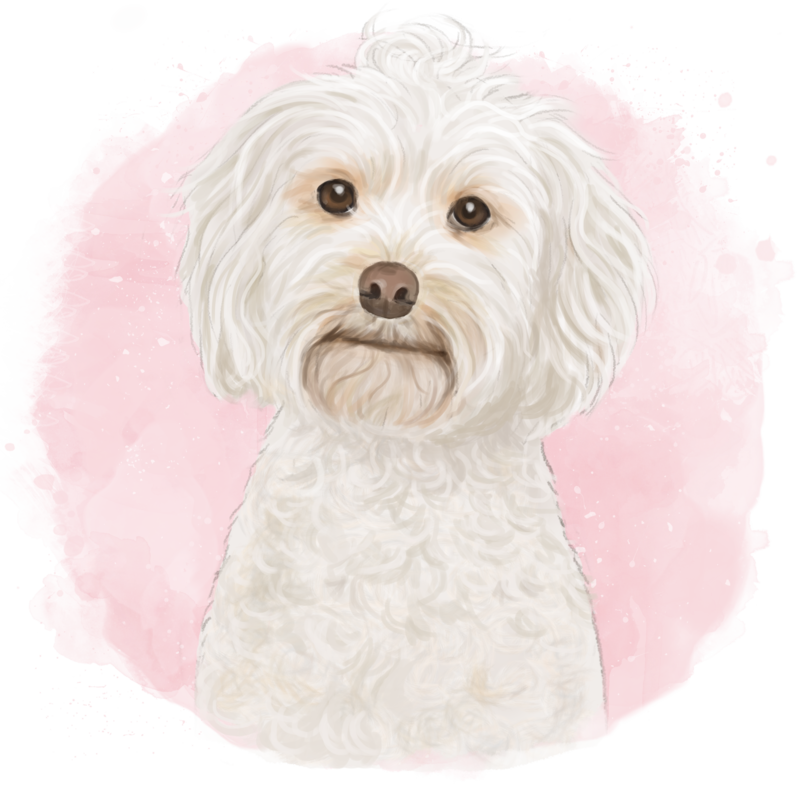 Piper loves these treats & I hope you’ve enjoyed reading this short but sweet post!